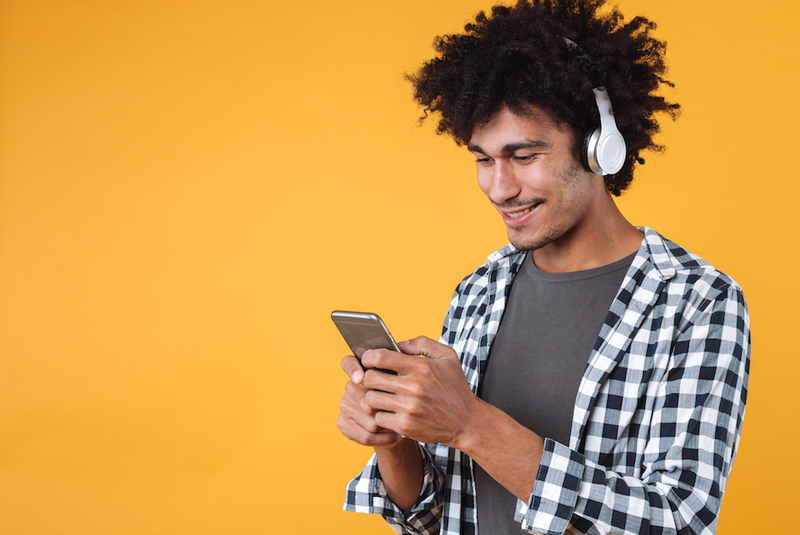 In this episode of Suite Spot, we discuss one of the fastest growing and most popular social media platforms in 2019, Instagram. On the heels of another exciting innovation from Travel Media Group’s product development team, we introduce the addition of Instagram for hoteliers as a part of our social media solution. 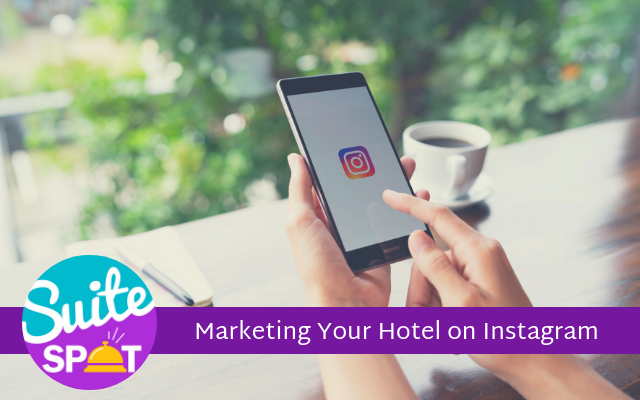 Host, Ryan Embree, is joined by Jason Lee to talk about how hoteliers can leverage and implement Instagram into their digital marketing strategy. 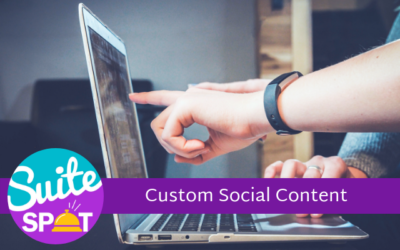 Jason shares what type of content should be shared by hoteliers on their business accounts and how to use the Instagram analytics to sharpen their efforts. Ryan and Jason also share their thoughts on influencer marketing and whether it is a good fit for hotels. If you are looking to learn more information about creating an Instagram for your hotel or want to submit a question for future episodes, call or text 407-984-7455. Ryan Embree: Okay, hello and welcome to another addition and episode of the Suite Spot. And today we are going to be diving into Instagram. You've heard us talk on this podcast a lot about tons of social media solutions for hoteliers, Facebook, Twitter, Pinterest, but we really haven't explored in that much depth about Instagram. So I thought this would be a good opportunity to really talk about this because it's one of the fastest growing social media platforms out there and businesses are starting to leverage that they're, they're figuring out how to leverage that. And today I am joined by Jason Lee who is a huge proponent of Instagram for hoteliers. And uh, most recently we have actually launched, Instagram for hoteliers as a part of our social media solutions. Is that correct? Jason Lee: That is correct. Yeah. We, um, now have the ability to post directly to Instagram through our console as well as pickup all of the properties, Instagram posts that they're posting on their own that other people are posting on their page or, or mentioning them. And then also all of the analytics that go along with that, putting comments that come in from that. And actually recently as today, we were actually pulling video, so video actually into the console as well. So really exciting. Ryan Embree: That's awesome. Congratulations to you and your team. You guys have really been busy with, you know, the new launch of custom social and then adding this to kind of that social media arsenal for hoteliers is really going to take it to the next level. So that kind of transitions me into my first question. Why Instagram? Why did you feel like Instagram was necessary? Jason Lee: I mean it's really an obvious next step in the evolution of our platform because it is influencing travelers. And so that's really what we look at. What's influencing travelers? What's influencing people to, to take trips? What's influencing people while they're on a trip? And when you look at Instagram and it hits all of those things straight on, including, um, a little bit of a younger set as well. I think the social media platforms are constantly evolving. And you look at Facebook now, and I think I've said this before, maybe even on this show, but I feel like Facebook has almost a utility, you know, it's like a place where there's news and there's a place where their people are posting. There's still a massive amount of people on it. But in terms of personal engagement or entertainment inspiration, I think Instagram is coming out up front. What's interesting too also I think is that Facebook maybe has a little bit of a black eye because of some of the things that have happened from privacy issues and the Cambridge Analytica stuff from last year. And so you see people leaving Facebook. I mean, I don't think there's any thing to worry about in terms of numbers are still like the majority of numbers that are on there. But, but Instagram really I think has, has taken a dominant place in travel inspiration and, and um, and I think entertainment. Ryan Embree: It's so unique how everyone uses kind of their social media. Cause I, I completely agree with you. You know, Facebook I feel like has evolved as well as like Twitter, you know, I think a lot of travelers or even just consumers in general might look at Twitter not as inspiration, but they might look at it as a tool to communicate with businesses. Um, you know, we see examples all the time of people tweeting at businesses if, if the customer service isn't there or just trying to communicate with them. So I think it's, it's unique. Um, I think that's one of the ways the Instagram is unique because it's exactly like you said, that that's more of an inspiration. I don't know if a lot of travelers would necessarily try to call out a business on Instagram, but I could see them maybe using that platform as maybe a starting spot to where they're going to stay for a trip or a destination or something like that. Ryan Embree: We kind of touched on this on that question, but we've got Pinterest out there that's a, that's a great social media platform for inspiration as well. But what makes Instagram a good fit for hotels and, and maybe unique from Pinterest for example? Jason Lee: So I think, I think it has to do with, um, with intention. So if my intention is to go and pin a bunch of items to create a dream vacation, then that is what I'm doing. I think where Instagram sort of intersects with Facebook in the way that someone would discover something along the road. So I'm like rolling through my feed or I'm looking at something and all of a sudden I encounter a photo or a video of a friend of mine that went on a vacation somewhere. I'm now looking at that. Then from there I might be going to the link in the bio or maybe there's a link somewhere else where then I'm going to try to find that hotel and then move down that line. So I've now discovered this, so from someone else, and now I'm going to do my own investigation along that road. But I think Instagram has that because it's so visual. It's a, you know, it's made for images and video and so you're encountering things like that where Pinterest, I think you're going to Pinterest to do something so you know, to Pin things for your dream wedding or to your dream vacation or whatever that is. And, and I think Instagram, you discover a lot of stuff along the way. Ryan Embree: We tell hoteliers all the time, I mean, the exposure there, that's, that's what's necessary, right? It's, we don't know where travelers are going to encounter your hotel, but we want to make sure that you give yourself the opportunity to be encountered, right to be seen. You know, whether it's on Pinterest, whether it's on Instagram, even Twitter, any place that you can really get your presence in front of a traveler's eyes gives you obviously a better shot at conversion. You know, if you do it the right way, you can actually create a nice little channel there to a direct, commission-free booking. Jason Lee: Yeah, a hundred percent. Ryan Embree: What type of posting should hoteliers be putting on Instagram? Jason Lee: Again, going back to like if you look at the format of Instagram, it's an image and text. And so it's about good images putting stuff that gets people excited about your location and it gets people excited about your hotel, whether that is getting your guests to post, um, or that is you posting things that are inspiring and that actually have a really nice look and feel to them. I think sometimes, you know, you could be like, "Hey, I want to get active on Instagram." And you start, you know, posting funky images. You know, I see a lot of times even the way that an image in Instagram looks is not really a landscape. It's more of a portrait. So you're like, it's a different aspect ratio where like how you take a picture. So if you were to take a picture on your phone and you're going to like take that more landscape look, it's going to be an odd looking image, uh, or it's going to be a partial image. So I think it's even, it's changing because it is, you know. And I think the other platforms are also really mobile but, but Instagram is, it's all mobile, you know, and it really, and that's where you got to have great images. You have to have something that is going to be inspiring about what you do, where you're at. Ryan Embree: The cool thing about Instagram obviously is people love the filters and stuff like that. Um, does, does your team kind of consult with them and maybe put a strategy in the place with that? Jason Lee: Definitely do. And we, we work with hotels on a few different fronts. Images are extremely important and we have an image library for every hotel that's inside of our platform, but, but that is a really important part of it. But, but it's about also mixing it up. So we look at, um, a property feature. So we make sure that we're looking at property features that are going to be engaging local stories that are going to have meaning to people that might be traveling there or have traveled there that might be interested in it again. And then events that are happening. So events become a really important part of, of occupancy. You know, so any hotel you're listening to this knows that, that, you know, occupancy happens in a location because of something, because of business, because of an event, because of whatever visiting family. But it happens because of something. So if you are promoting the Dave Matthews concert or you're promoting a marathon, those things are extremely important to where your location is to the event. So we work with hotels on that side, like what events impact occupancy, how can we leverage those events? How can we leverage your property in relation to those events? Ryan Embree: You kind of hit the nail on the head as far as if you can get a traveler looking at your property at a certain event, to again creating that channel so they go directly to the hotel versus an OTA that can, that can add up when it comes to commission. So super, super important to not only get that inspiration to them but also create the channel for them to be booking Instagram. I think they've been releasing a lot of updates and that can sometimes be very overwhelming as far as the new features that are within the platform. Instagram stories for example, that's something that's recently new, the filters, uh, that they're doing to kind of compete with Snapchat. So with all those features, you know, you want obviously track that with analytics. How good is Instagram at analytics and how can hoteliers leverage that data? Jason Lee: Instagram analytics are fantastic. I mean they're deep. There's a lot of data that's available. But I think the interesting thing about Instagram, again going back to what we were talking about before, is it's a visual platform. So views being a big part of that analytic. And I think that's an interesting side of it rather than you've got a lot of CTA or call to action stuff happening elsewhere. And on Instagram, I think you still have opportunities for that. But it's a lot about how many people are viewing this. And so that's kept track of You keep track of how many people are looking at a story on Instagram. That's an important metric to see how well you created a story or how what the audience level is. So I think that's a really interesting part of Instagram that that's not really on the other platforms. Jason Lee: I think the early days of the Internet you were tracking how many times an image loaded on a page or something and now you've almost kind of come full circle where you go deep into all these little nooks and crannies of pixel tracking and now you come back to something as simple as just somebody looking at, you know, this is just a person that just viewed this. And that becomes an important analytic. And, and I think it's, I think it's important for a lot of reasons for a hotel because the more people that you can influence and impact by the stuff that you post, you know, that can only lead to good things for your brand. Um, you know, for someone's next trip or even to reinforce the decision of where they're staying or you know, where they're going to stay the next time they come to town. Ryan Embree: We talked to off air about this, about the ad spend. Now that hoteliers are putting into sites like Facebook and Instagram and they're really targeting more social media ads than maybe going after the traditional Google Ads because of all the players in that space. Can you tell us a little bit about hotels that we work with, where that strategy is when it comes to ad spend for social media? Jason Lee: I mean, I think the ad spend, a lot of the ad spend that we do is around engagement. So it's about how we get more people to be, to become part of the community, a social community for individual hotel, and how do we get them to engage with the posts that we, that we push out there. So what's really interesting about ad spend or SEM in general is that you have seen this evolution over time where ad dollars at an individual location become, you know, become really precious in a way because you can blow through an ad budget. Like if you go into Google ad words, you could blow through an ad budget and really not get a whole lot from it. And, and so then you're like, well, you know, so then a few years ago, then it was like, well, you know, we're going to really then invest in display advertising. Jason Lee: So we're going to go on the display side because then at least if somebody encounters us, we can just passively advertise to them as they view other sites. But now with the, I mean the rise of ad blocking, the at the display ad blocking software, I mean you're talking, it's a dramatic rise where that's being blocked on a lot of browsers. Okay like, so what is viable for a location? You know, what, what is it, how can I spend money and make it effective? And I think social media becomes really important to that. And, and so when you look at Instagram and Facebook, the dollars you spend, uh, right there could be impacting your occupancy. It could be impacting, um, you know, you in a way that is you, you really can't find in other places. One of the really cool things about Instagram, and if you've, if you've encountered ads on Instagram, you, you'll know this, is that you can carousel ads. Jason Lee: And so you can look at something like, you could place an ad in Instagram and you could actually have room types. So you could carousel out four or five different room types for, for a date range, or you could carousel out different date ranges in terms of pricing. You're also targeting somebody really specific. I think you're a lot of, in a lot of ways on Instagram, you're targeting a millennial traveler and they're looking for experiences. So if you have a nice hotel room, and so think, if you think about Instagram, the people that are on Instagram, and this is not me, Ryan. I do not, I'm not a big selfie guy, but there are a lot of people that are into selfies. They're into posting things. I mean, if you look at my Instagram, I post about food. I take pictures of dishes that I'm eating or making or whatever. But there's a lot of people that post about where they're at. They're in a hotel room and they're showing a picture of them with the hotel room behind them. So I'll, so think about that. When you, when you create ads on Instagram, you don't want to have like the cheapest, your cheapest room available. It's about your coolest room at the best price. Ryan Embree: You brought up a good point and I was going to bring this up and just wanted to get your opinion on influencer marketing because I feel like Instagram is one of those places where you can get a big following from, you know, a lot of people and people are posting about where they're at and you know, other people want to be there and they're liking that and commenting on that. Where do you think influencer marketing fits with hotels? Or does it, does it make a good fit for, for a hotelier? Jason Lee: I think it can. I think you have to be really careful. We saw stories, uh, about the hotels in the Maldives last summer, you know, turning away Instagram influencers who are trying to give free rooms. You know, you got to be careful about who it is that you're allowing to influence people about your location. And I think there are a lot of influencers out there that could be, that could help. But I, I feel like the best, your best influencers are the people that have stayed at your property and that have had good experience. And getting to, getting them to leverage their stories with their audiences and then, and then allowing you to then share their same experience on your stuff I think is the most important because a lot of times the hotels, the commodity of a hotel room into the industry is "we've got this, we have this location that we, that we purchased. We have all these rooms that we furnished and maintain. We want to get people to stay in them." Jason Lee: The other side of it is, "I'm a traveler and I want to make sure I have a good stay. I want to make sure that the money I'm spending is not going to be wasted or that I'm going to wake up at three in the morning and be like, I can't stay in this hotel room another second." And so all of those nightmare experiences that people have had, they don't want it. They don't want to repeat. So they want to, they want to get information from other travelers that things are, things are going to be okay. And I think if you can get your people, the guests that have stayed at your hotel to how that have had great experiences to, to share on, on social media, on in particular on Instagram, I think you're so much better off then, you know, finding someone that does like bizarre stunts or something or that has a bazillion followers that, you know, may not, it may not end up helping you. I mean obviously eyeballs always help, but I, you know, I think you've got to be real careful and you've got to spend wisely there. Ryan Embree: And that's what I love about, you know, the Travel Media Group team. Obviously, you know, we can give a lot of insight and give a lot of consultation and structure to an actual strategy because there are, you know, influenced marketers out there that might not be the best fit for a property in a certain area or region. So you do have to be careful and you want to make sure that that ad spend is being spent in the right place. You know, the, the kind of double edged sword to the analytics and data is that you do see that ROI when you do the ad spend. So you want to make, it's not like putting kind of a billboard up there and, and kind of hoping that you're going to get those eyes, you're going to actually see how many people you're reaching. You know, just to go back to the way that Instagram, you know, really works as a platform. It is one of the best ways to kind of put your best foot forward as a hotel. Not a lot of people on their personal accounts are going to be willing maybe throw a picture of an unclean bathroom. Like people don't put that on their Instagram. Right? Ryan Embree: So this is the platform really that you can use to put your best foot for reputation wise. This is a great opportunity for hotels because again, I just don't think it, it works the way that the other platforms work. You're, you know, you might see that on Facebook you might see a picture of a broken door, broken furniture. You know, we certainly see that on, on Twitter as well, but Instagram, people aren't willing to put that on their own personal pages because they feel that that's connected to them. Ryan Embree: They would rather put a really nice sunset picture of that hotel. So leveraging this platform is huge. Jason Lee: Yeah. I mean, a lot of the friends that I have on Instagram, you would think that they were living a pretty amazing lifestyle. If you just looked at their Instagram by itself, you're like, every day is another glorious experience that they're having somewhere. Uh, you're absolutely right on that because you don't see a lot of negative information on there, which is very important. Ryan Embree: I'm super excited about this, this new solution. Again, adding this to, you know, a hotelier's social media arsenal can really, really help them. And you know, what you and your team are doing with Instagram, Travel Media Group again just launched Instagram for hoteliers. We're helping them now, not only with their Instagram, but Facebook, Pinterest and Twitter as well. So we're really covering almost every demographic that you could think of, every platform that you could think of to make sure you're getting that exposure out there. So, so Jason, what would you say to, you know, those hoteliers that might not have an Instagram for, for themselves personally, they know its importance, but they're just weary about maybe starting one. What would you say to kind of tell them why this is valuable? What's that value proposition? What are they going to get out of starting an Instagram for their business? Jason Lee: Yeah, I would definitely say don't be weary. It's a platform that is growing. It is extremely influential to travelers. Um, and I would not delay getting something going on that front. Every hotel that I've ever talked to has time issues. It's always about do I have time? Do I, how do I, how do I get this going? Do I have the time? Do I have the expertise to, to make something like this happen? That's where companies like ours really do come through and where we can help create the account, we can help the organize the media that goes into that account, um, and then start producing media that is influential to incoming travelers, that's influential to the travelers that maybe are staying with you right now or that will have already stayed with you and that are now searching back, uh, to find you. Jason Lee: And I think that's, that's really what's, what's important about all of this stuff. Why would you leave a channel that is influencing tons and tons of travelers just open and you just not unused. You know, it's, it's free to start one. Ryan Embree: Right? That's what I was going to say. Jason Lee: You might as well, just get into it and get going with it. Um, but just like everything, you know, it's pointless to start one if you don't have a plan. If you don't have a plan to put information on there, you put an Instagram account together and you don't put images on it and you don't post regularly, it's really not, not going to be that useful to you. So if you do do it, you know, sit down and make a plan and you know, we, like the plan that we have, we have that, we like to post about events, about local stories, about property features. It could be as simple as that. You think through a few of those things and you get a front desk supervisor or you get your director of sales to interact with it a couple times a week. Those are the kinds of early things you could put together to create an Instagram strategy. But if you don't have that time, you know, that's where I think a company like ours really comes together with it. And what's interesting about what we're doing with Instagram is that we're adding it to the platform so it's not, we're not isolating it. So something that you post on Instagram, you can obviously post on Facebook, on Twitter, on Pinterest. So you're able to take those pieces of media that would be influential on this one site and push it all the way through. You can just do stuff on Instagram as well if you wanted to. But we provide and we provide, it's not just one side to it as well. So we provide connection to that. So we provide a platform that will allow someone to go in and connect, uh, through one single interface, connect to all those sites together and be able to use media that way. Ryan Embree: Which is a huge time saver in itself. So it is all consolidated. It all feels not so overwhelming. Like you have all these accounts out there and you have to be constantly, this consolidates it into one. Jason Lee: Yes, it also protects your credential because the credential is a big part of this. And uh, I'm sure you know, anybody who's had any kind of social media accounts at a property runs into this like, "well who has the account? Well who has the password?" And you know, it's like, "oh that guy left and now we don't have access to it." So being able to consolidate it is also consolidating the credential. So when you pass that, that duty to someone else at the property, you're able to just say, here, log in here and go and you can post on our behalf. And if that person leaves you, just you take them out of our platform. Ryan Embree: Very cool. Jason. 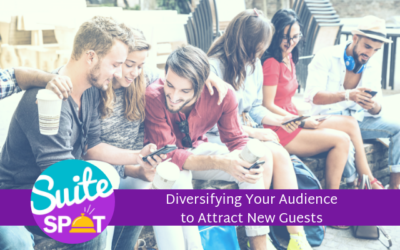 The revenue potential is there for hoteliers, but it's exactly what you said. 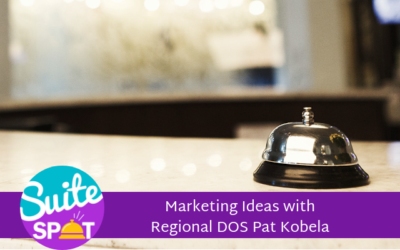 It's all about having a strategy and you know, working with someone that knows what they're doing are the experts at, at, you know, social media and you know, working with so many hotels in your expertise can really help a hotelier know what works and what doesn't work. So that time to get things started and get to get that audience rolling really shortens there. When you, when you work with, with someone like Travel Media Group. Ryan Embree: So if you're a hotelier out there and you're looking for some social media initiatives for 2019 especially if you're not on Instagram or looking to make a big push on Instagram and kind of get into this platform and start generating revenues, start generating views for your property and conversions, give us a call, give Jason and his team a call. Ryan Embree: We'd be happy to help you out. (407) 984-7455 if you have any questions, you can call that or text that number. We'd be happy to get out to you. Super Exciting episode. Jason. Thank you as always for joining me. Jason Lee: Yeah, thank you. Ryan Embree: And we will talk to you next time. Ryan Embree: To join our loyalty program. Be sure to subscribe and give us a five star rating on iTunes. Suite Spot is produced by Travel Media Group. Our editor is Anne Sandoval with cover art by Bary Gordon and content support by Priscilla Osorio. I'm your host, Ryan Embree, and we hope you enjoyed your stay.